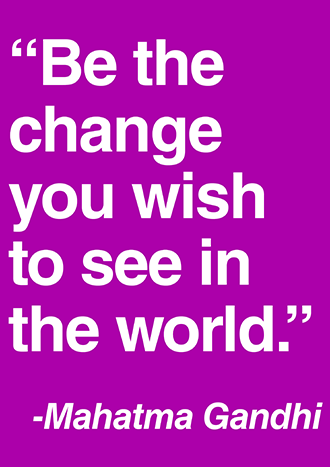 Have you ever wanted to change the world? Have you ever dreamed of a better life? Have you ever wished that people around you were kinder, or more considerate? Have you ever wanted to do something to help others, but weren’t sure where to begin? In July 2015, all students in Chenderit School’s Year Seven were set a homework to complete over the summer break: students were asked to "make the world a better place” by selecting and taking part in a range of activities designed to help them develop into caring, generous, empathetic adults. The assignment challenged each student to make the most of their time off school, by engaging in activities that might help the student, their family and the wider community. The response to this assignment was quite staggering, and at times humbling. Students did themselves and their families proud, demonstrating great generosity and spirit. The assignment also had another, somewhat unexpected, result: news of the assignment soon spread via a range of social media, with parents, educators and all sorts of other individuals across the world quickly becoming interested in our assignment and associated ethos. In 2016, we took the idea one step further, opening up the challenge to "make the world a better place” to students in all year groups, all staff, parents, governors and members of the wider community in order to make our community a happier, more amazing place to live, work and learn in. An exhibition in the Heseltine Gallery in September 2016 showcased all the best responses from students in the school and beyond. The project was nominated and shortlisted as a finalist in the Northamptonshire Education Awards and we were awarded a special commendation at an awards ceremony in June 2017. This year, we have developed the idea further and have again invited students in Year Seven, Eight and Nine to help us "make the world a better place”, as well as inviting Year Six students from our partner primaries and all members of staff to take part in our annual revolution. If you are interested enough to have read this, perhaps you too can join us. Who knows- perhaps something that one person does might inspire someone else and in doing so could help change the world. Perhaps something that you do could make all the difference.